Sept. 23, 2015 – Utah Attorney General Sean Reyes, AG Investigations Director Leo Lucey and AG Justice Division Director Greg Ferbache trained Utah sheriffs on human trafficking this week at the Utah Sheriffs Corrections and Law Enforcement Conference in St. George. 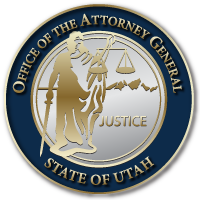 AG Reyes, Director Lucey and Director Ferbache urged sheriffs and agencies throughout Utah to understand the signs of human trafficking and to coordinate efforts to thwart the increasing criminal enterprise. Established in September 2012 by victim advocates, the statewide Utah Trafficking in Persons Task Force is force made up of service providers, law enforcement, legal professionals and other stakeholders. The organization provides needed resources and a forum for the exchange of ideas, sharing intelligence, case staffing, developing victim resources and creating opportunities for all entities involved to help address and resolve the crime of human trafficking. Agencies were invited to join the task force. “Human trafficking is not a partisan issue, it’s a human issue – and we must come together to fight it in Utah and throughout the world,” concluded Reyes.